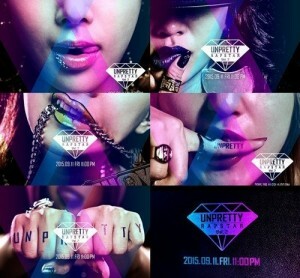 What are your thoughts on the most recent season of Show Me the Money and the upcoming season of Unpretty Rapstar? 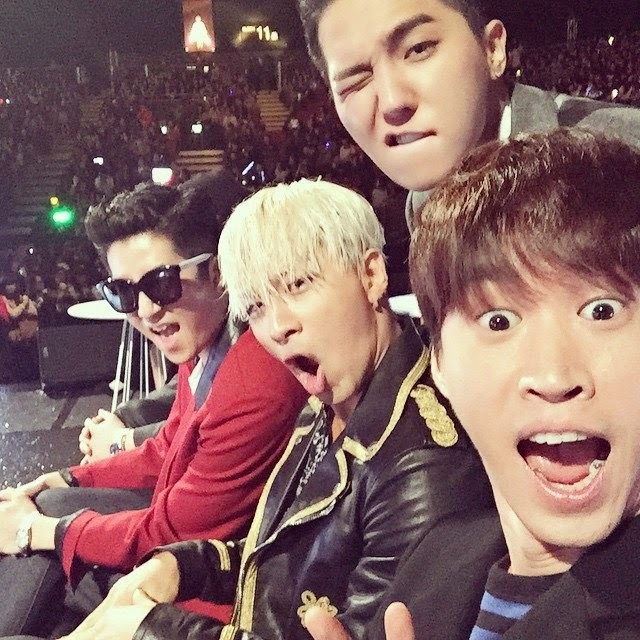 How have hip hop competitions impacted the Korean music landscape? What artists or companies have benefited the most from these shows? Is the industry’s infatuation with hip hop a growing trend or a passing fad? Mark: I just finished watching the new release by Jace featuring Kisum and thought to myself: these two totally owe their current popularity to Unpretty Rapstar. But I can’t help but wonder how far riding the coattails of a popular TV show will get them. 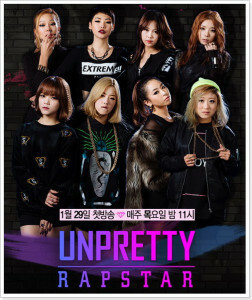 In fact, it seems that most contestants from Unpretty Rapstar have been popping up quite frequently, either collaborating with one another or featuring with established artists but I also feel like they’re all just trying to milk their five minutes of fame before the spotlight fades. Participants of Show Me the Money, on the other hand, are basking in much greater glory. Take the winners of each season for example. Loco is signed to AOMG. 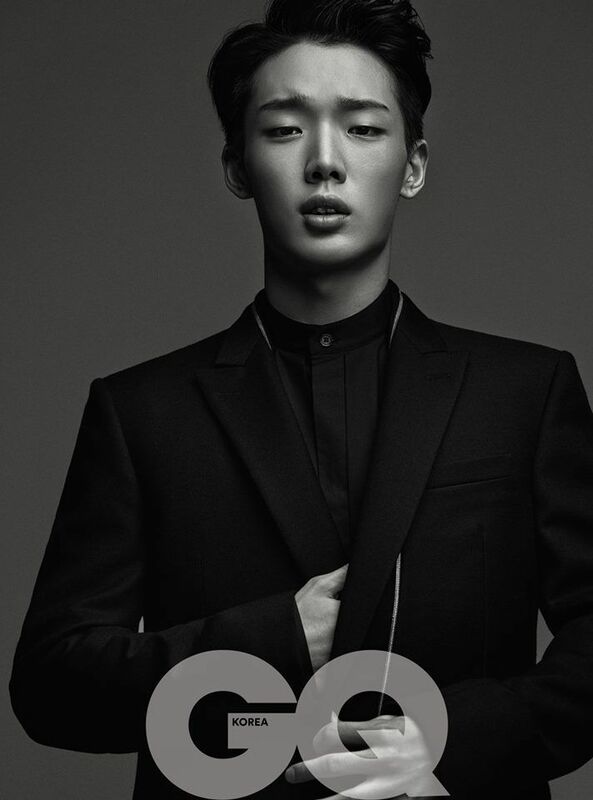 Bobby has been making quite the buzz for an idol who hasn’t even officially debuted yet. 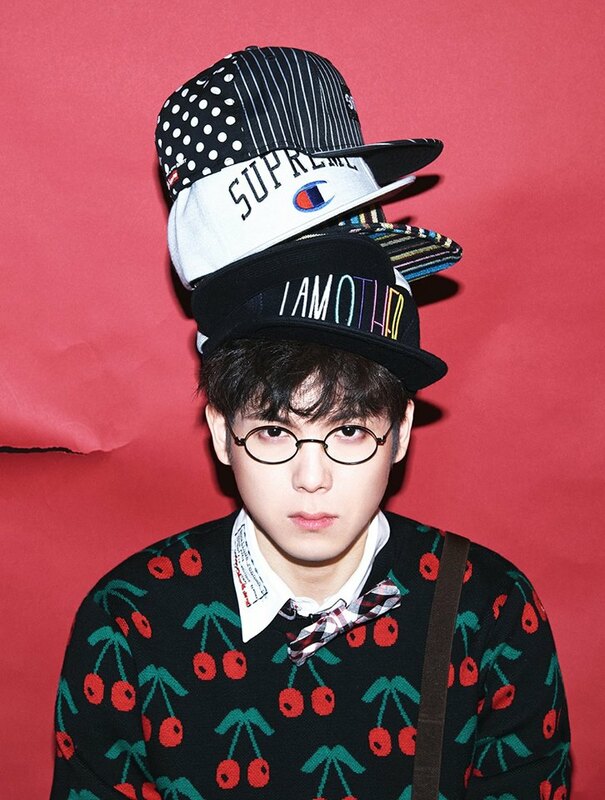 And most notably, Mad Clown has been dominating charts due to some clever marketing which pairs his staccato delivery with the vocalists of Sistar. It’s quite clear that hip hop competitions have become a phenomenon with each season of Show Me the Money upping the ante in terms of challenge and participants. It no longer plays to the idea of discovering underground rappers anymore as you pretty much have to be a signed or established male rapper to get far on the show. 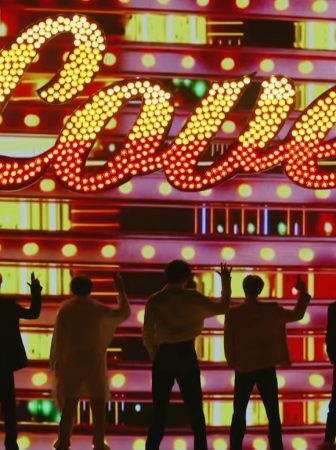 As artists and their agencies begin to take notice, it’s become quite clear that everyone wants their piece of the pie and hence why we’re seeing even high profile idols getting involved. I’m still hesitant to say that this is the wave of the future, however. 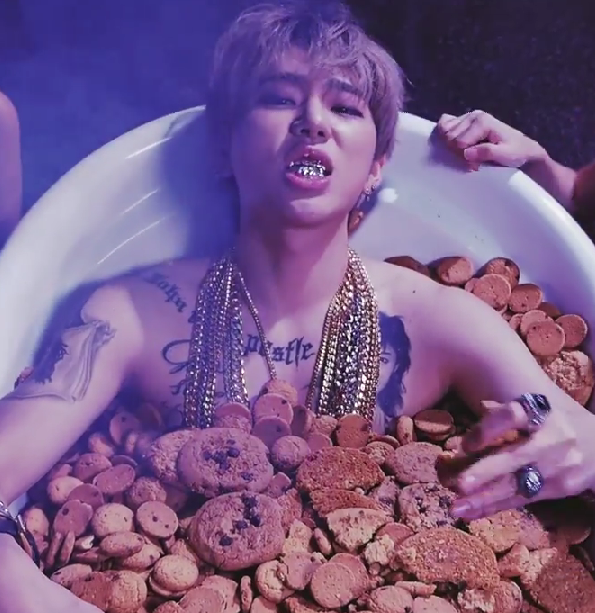 Like the unpretty rapstars, I can’t help but feel like this will soon become a dying fad. Jason: Back in late January, I caught the first episode of Unpretty Rapstar at a restaurant here in Seoul. With San E presenting the show and a show centered entirely on female K-pop idols and rappers, it was an intriguing concept. 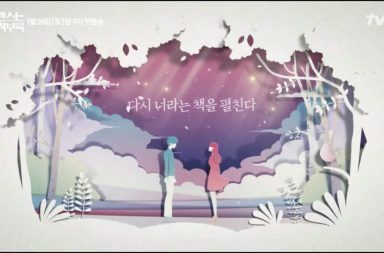 The two TV reality, competition programs would also show how much influence they have on the Korean music scene. 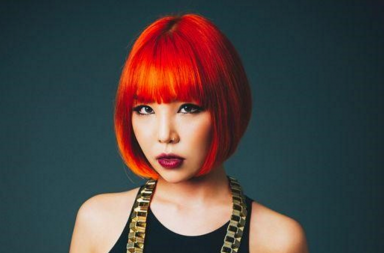 It’s fair to say that both Show Me the Money and Unpretty Rapstar have impacted the music scene here in Korea. After the shows ended, I’ve seen contestants from the show often collaborating with other rappers. Many more hip hop stars and rappers now grace advertisements and are seen on TV ads, which was once unfathomable just 15 years ago. As Mark said, a lot of the contestants from both Show Me the Money and Unpretty Rapstar are milking their current fame. And who can blame these rappers, as riding the wave of their five minutes of fame is smart. These days, contestants from these shows are seen on top of the music charts. Rappers, such as Swings, Loco, Soul Dive, and Mad Clown from Show Me the Money fame are seen collaborating with idols today and doing very well. Jimin of AOA and Jessi from Unpretty Rapstar fame are more known to the public. Other contestants from both shows also gain more exposure and often land new music deals just for being on the show. Furthermore, these shows represent training grounds for up-and-coming talent. 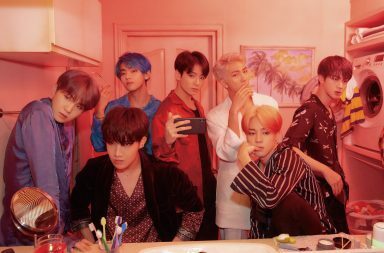 Like American Idol, Show Me the Money and Unpretty Rapstar take relative unknown rappers — at least to the mainstream public — and introduces them on one of the biggest stages of all: primetime TV. Much like how I Am a Singer or K-pop Star does to introduce new pop singers, Show Me the Money and Unpretty Rapstar does the same for aspiring rappers. These shows also provides another way to break into the music industry. 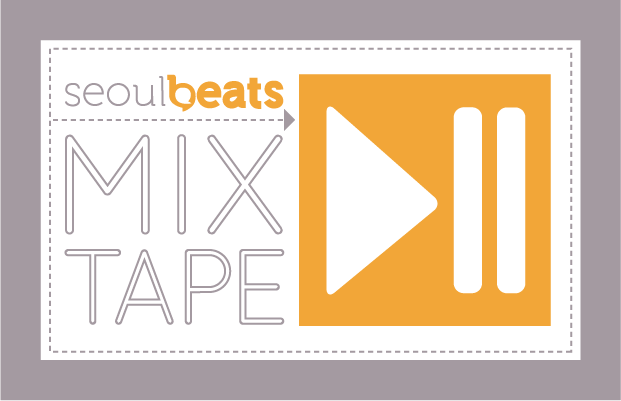 In the past, one of the only ways to apply as a singer would be to send a mixtape to an agency and hope for the best. Yet, today musical hopefuls can audition on a TV competition and through exposure on TV, and hope to get signed to a label from there. I won’t go as far as Mark in saying these shows are just a passing fad. After all, if peoples’ tastes and the music charts are any indicator, pop with hip hop songs are the “in” thing now. But at the same time, I also won’t say a whole new slew of hip hop songs just suddenly come up. But if Show Me the Money and Unpretty Rapstar taught us anything, it shows how powerful competition TV shows are in showcasing the next mainstream rapper. 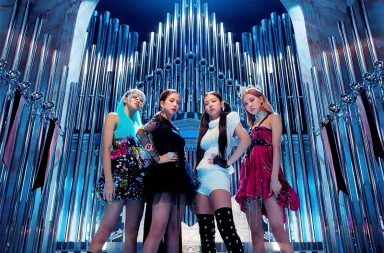 Don’t be surprised to see contestants from the newest editions of the two shows soon appear on top of the music charts. Cjontai: I think it’s a reach to say that rap competition shows are becoming a phenomenon. All you have now are Show Me the Money and Unpretty Rapstar, both of which are run by Mnet. Unlike the singing competition shows, you don’t see the other networks scrambling to make their own version to capitalize on the trend. 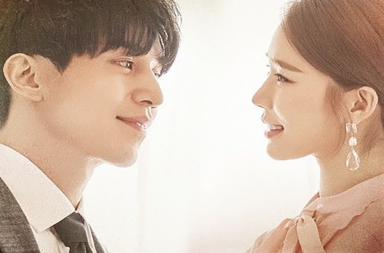 It’s likely due in part because they don’t want to be accused of copycatting, but it could also be connected to the controversies stirred up by these shows recently. Honestly, I feel like this is all a passing fad, albeit a currently profitable one. These companies will jump on any bandwagon as long as it’s moving forward, but that’s where it ends. Given the current roster of Unpretty Rapstar and how much of a circus Show me the Money has become, fans are questioning how far this trend can go if the people running things don’t even take the genre seriously. Every time I see a hip hop photo concept involving cornrows, bandannas, and someone biting his lip to look tough, I question it too. It’s nothing more than cosplay at this point, to which I take great offense in some calling it “black cosplay,” but that’s another issue altogether. That’s not to say nobody is capitalizing from this at all, but I attribute that more to striking while the iron is hot. Plus, let’s be real here, some of them entered with a hot brand from the beginning. Mino can talk about taking off the YG tag all he wants, but it’s not like nobody knows who he is. Same goes for Bobby, which is why I don’t tie his booming popularity to the show. YG knows how to promote its artists, so whether they went on the show or not, they were going to become famous. I’m more impressed by the ones we barely knew beforehand, like Jessi. She had just began promoting with Lucky J when she was cast for Unpretty Rapstar, and I’m sure a lot of people still don’t know anything about that group. We’re talking about someone who no one even looked up until she appeared on that show. Now she’s making the variety show circuit, which is great, but has any of her music produced an all-kill? Not to downplay her popularity, but what exactly counts as success here? Wasn’t the point of appearing on these shows to promote themselves as artists and not variety show players? If that’s the case, then perhaps these hip hop competitions aren’t as successful as we’re making them out to be. Mark: I agree that the phenomenon is probably overstated more so among international fans than domestically. I think Mnet, being a cable network, has more incentive to broadcast a program with explicit lyrics than say government-runned KBS, but that’s not to say that other networks can’t pick up on it and form a viable competitor to Show Me the Money. Mnet is certainly capitalizing off of the current hip hop wave but Brand New, AOMG, and YG are also getting a chunk of the pie in terms of receiving a platform to exclusively promote their artists. Is anyone surprised that Mino made it this far in this past season of Show Me the Money? I haven’t been following very closely but based on the semi-final performances, I think he was clearly a cut below the rest. He is the Jimin of this season, the idol who’s getting by more so on flash than substance. I think many folks question the integrity of the show, and rightfully so, in that it allowed YG idols to make the finals in consecutive seasons. I’m super excited for Unpretty Rapstar, Volume 2 as there seems to be more talent and more idols involved. There were some questionable selections in Hyorin and Yubin, two well established idols who really have nothing to prove or to gain by being on the show, but it’ll be interesting to see what dynamic they bring. 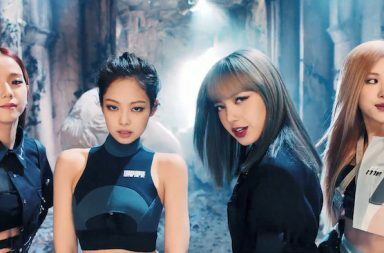 Overall, I don’t think season two will be as exciting as season one mainly because there’s no more Jessi, but I expect the raps and the talent level to be much better given that it seems like they did a more thorough job of going out and recruiting underground rappers this time. Farah: Season one of Show me the Money was a show that gave underground rappers the spotlight as well as the means to learn and collaborate with other artists that had more experience and insight in the industry, as we saw relatively unknown rapper Loco shoot to fame and stay there, as he deserved the respect and attention he was getting. 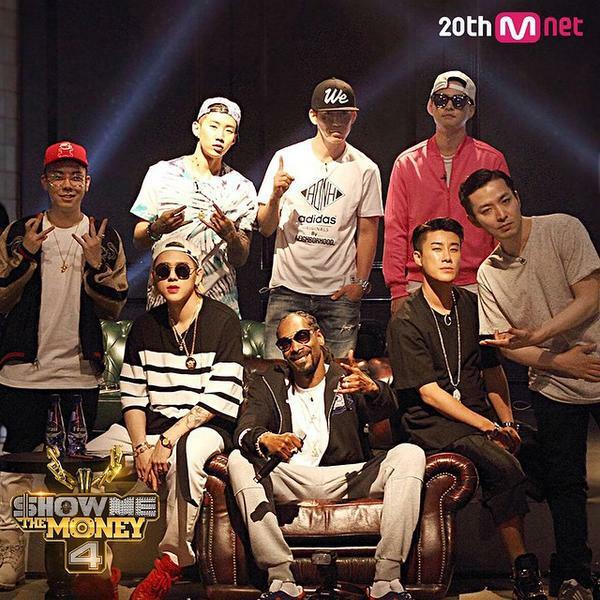 The second season of Show Me the Money involved the opportunity for underground and aspiring rappers to gain their 15 seconds of fame, and it was actually the start of the influx of idol rappers on the show. Although the winner was respected hip hop artist Soul Dive, a lot more attention was brought to rapper Swings (whether it’s for his punchlines or for his loudness can be debatable) as well as rapper Mad Clown. Following this season, one could see a rise in their popularity, as new releases by Swings would actually make headlines and everyone wanted to get on a collaboration with Mad Clown. However, Show Me the Money 3 is where things get confusing and we wonder whether they’ve completely just fallen off the tracks. Not only are two of the contestants from prominent hip hop label YG Entertainment, with others (Giriboy) having connections to Just Music (label created by Swings), the producers or judges of the season are backed by labels YG, Illionaire, and Brand New, with Swings being one of the judges and producers. Lastly, rapper/actor Yang Dong-geun rounds out the last judge/producer, forming a team of his own. What took the cake for me in terms of ridiculousness was having Bobby of soon to debut YG group Ikon win a hip hop survival show when he already participated in YG’s survival audition show. With Show Me the Money, Korean fans of hip hop increased, and with the start of Show Me the Money 3, I saw a greater increase in interest in Korean hip hop from the international K-op community. At this point, big labels (mentioned above) are profiting financially from Show Me the Money and Unpretty Rapstar, while underground rappers are profiting by getting their name and voice heard all around the world. 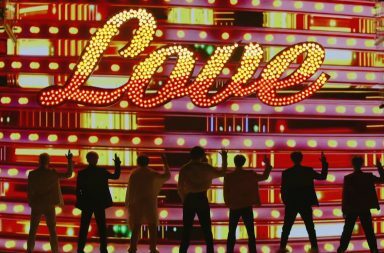 The influx of idols is helping lesser known idol groups gain some time under the spotlight and also bringing more attention to Show Me the Money, once again, from the international K-op community. I specifically separate international kpop fans and Korean hip hop music listeners because even when I attended concerts in Los Angeles, hip hop concerts were flooded with Korean nationals rather than Korean-Americans, and K-pop concerts were flooded with a wide array of peoples. I must agree with Cjontai in that hip hop is a currently profitable fad. I think Unpretty Rapstar was more of a way to capitalize on the trend of hip hop music’s rise in popularity in Korea rather than to actually help the artists themselves. With the host being San E and one of the producers being idol rapper Zico, it was hard for me to take the show seriously. 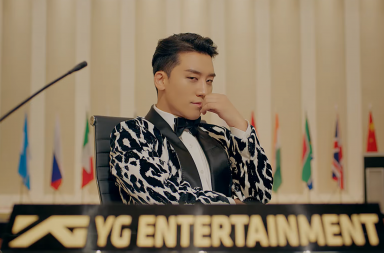 In terms of this fad being more prominently eaten up by the international community, I must say that with Show Me the Money 3, it seems like international fans either started watching due to Mnet’s endless ads on TV and their repeated programming or due to the inclusion of prominent idols and backing by YG entertainment. 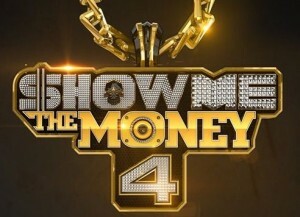 However, it is interesting to note that despite Show Me the Money 3 receiving a lot more views internationally, it also received a lot more criticisms than other seasons from international viewers who were either watching it for the drama (entertainment purposes), or for the actual competition (and being disappointed by the controversial judging process). As such, Mark, I am not surprised that Mino made it to so far, as YG is a powerful label. In terms of the new season of Unpretty Rapstar, I don’t know if we’ll be able to see quite as much drama, but I am excited to see what some of the contestants have to bring to the table this season. What we are seeing here is the television industry turning hip hop into a trend. As such, I must agree with you all that the industry’s infatuation is most probably a passing fad. However, that is not to say that hip hop in the music industry is one as such. Cjontai: I’m not surprised in the slightest that Mino made it to the finals. A lot of people, including his favorite rival Black Nut, predicted things would turn out this way. What annoys the hell out of me is Mino’s approach to the competition. I didn’t buy that he took it seriously, and that’s probably what fueled some of the anti-Mino sentiment from viewers. I felt like he coasted in the final rounds, and for someone wanting to lose his YG tag, he didn’t help himself by bringing in Taeyang as a featuring artist for his semi-final performance. It’s almost similar to what Jimin did on Unpretty Rapstar — complain about being pre-judged but then fell back into idol habits when it worked in her favor. Plus, there was something fishy about how they revealed the results for Mino’s battle against Black Nut. 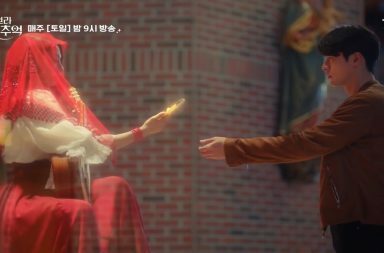 It felt extra staged and knowing how much Mnet benefited from his appearance alone, it wouldn’t shock me if the producers planned this in advance. There are some mixed feelings with Basick‘s win. I agree with the sentiment that Mino may have been witch-hunted into a loss, but at the same time, I don’t think if he had won, it would’ve changed any feelings about him. This was an exercise in futility, especially since the cash prize would’ve likely gone towards paying that fine for his controversial lyrics. He could’ve benefited more from a mixtape if he simply wanted to prove his chops. He’s going to need to learn that more than the YG tag, the idol tag will forever be a part of his career. He’ll need to accept that fact, or he’s going to drive himself nuts allowing every criticism about his work with Winner to affect him. 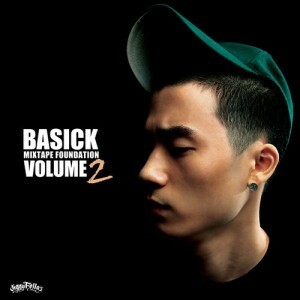 Still, I’m super happy for Basick partly because I could relate to his motivation. It was inspiring to see him go for a dream he had shelved when he started his family. Unlike Mino, he was under additional pressure to fulfill his duty as a father and husband. The guy even lost concentration during a mission because his wife texted him to buy baby formula. Mino doesn’t have to think about formula and diapers, which doesn’t mean he didn’t deserve sympathy, but Basick’s situation was rooted more in reality than celebrity. I’m sure a lot of people empathized with him more because he wasn’t living a cushy idol life. Did Basick deserve the win? That’s really up to whoever watched it. I enjoyed his performances, especially the first one with Verbal Jint and San E. His second stage for the finals clearly hit a sentimental note with the audience and likely boosted his chances in the end. Mino put in some good performances also, but it felt like there was too much reliance on using trendy beats to pump up the audience rather than reaching deep to emotionally connect with them. That said, given how things worked out for Show Me the Money, I can’t trust Mnet to keep things 100 for Unpretty Rapstar. The reveal that one of the cast members is a YG trainee led to more suspicions that the competition will be fixed, which is sadly unfair for that trainee if she does have rap skills because she’s being judged by association. I blame Mnet for not being transparent, which we all saw with Brand New’s switching scandal. The network is working in shady ways, and it’s created this cloud of distrust. I’ll still watch Unpretty Rapstar, hoping for great performances, but I’m also expecting Mnet will lower their standards further and focus on more petty drama instead of showcasing the hidden talents of these ladies. Jason: I can understand your stance Cjontai about relating to Basick. Although I didn’t keep up with the latest Show Me the Money too much, I did hear about the Basick and Mino competition in the finals. According to the viewers here, it felt like the classic underground rapper versus idol rapper matchup. Being the underdog, Basick quickly became the fan favorite. Plus, on a show that’s all about keeping it real with underground hip hop, even more viewers were pulling for him. It’s great that Basick won in the end, but I do feel bad for Mino. 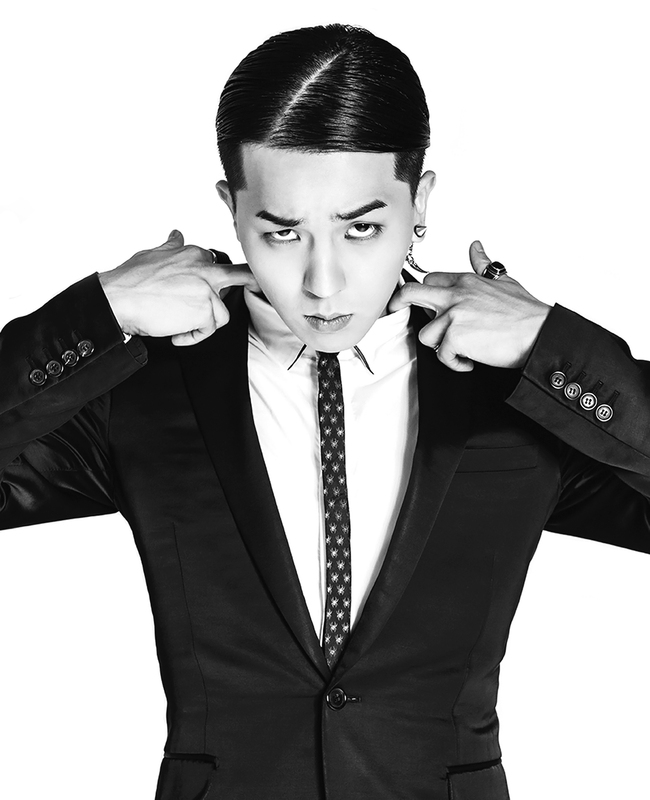 Many people think Mino has had an easy life. Yes, I can imagine with Basick having a wife and kid to care for, his life is hard enough. Also, add in the fact that he doesn’t have a major K-pop label backing him up and has to fight to get any recognition and, yes, it’s easy to say that Basick has it harder. But it doesn’t mean Mino’s life is a stroll in the park by any stretch. Just training to be a K-pop idol, enduring long 16+ hours during their pre-debut days, and the constant criticisms from fans and antis is tough for anyone. 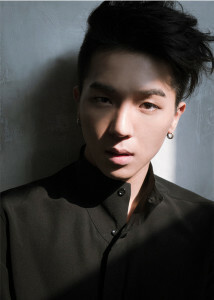 Mino’s YG badge was also being used against him, as he was trying to shed his idol rapper image during the competition. Since Basick was the crowd favorite, there were a lot of anti-Mino fans from simply being his rival. Often times, these antis would throw unneeded insults and attacks because Mino turned from underground-to-mainstream rapper. 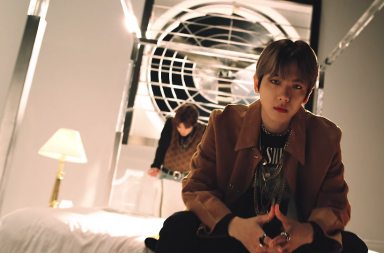 He, like many other rappers-turned-idols, felt the immediate, immense pressure to show people that he can rap from day one. It’s more than likely that Mino will bounce back and be fine. If he accepts that he is an idol rapper and that he has rapping skills, I believe he’ll have a more successful career. There are some idol rappers that can rap and are recognized for their talent. Mino should aim for the same recognition too. With that being said, don’t think the “idols on hip hop shows” debate is over. The “idols aren’t real rappers” stigma from Show Me the Money may be carried over in the second season of Unpretty Rapstar. But I’m more afraid of what Mnet and the Unpretty Rapstar writers will most likely do. Namely, focus on the drama and controversy. If it’s any indication that the show is mostly known for its drama, you’d only need to hear it from the peoples’ mouths. Many Seoulites that I’ve talked to say, “oh, that’s the show where girls diss each other, right?” I say you can only go so far with a show largely based on putdowns and gossip. 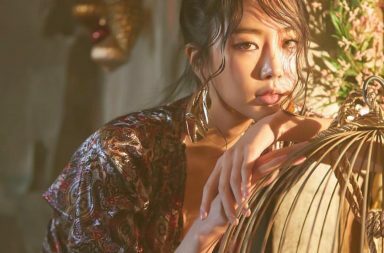 If Unpretty Rapstar, as well as hip-hop reality TV shows, wants to be taken more seriously, the focus has to be on the rapping. So if Mnet decides to make drama the centerpiece of the show rather than the actual rapping or ladies’ talent, then I’ll agree with what Cjontai and Mark said earlier. These hip hop shows may be a passing fad that fades away in the near future. Jason works in the Korean music industry as media in Seoul, Korea. His work has been featured on BBC World, Yonhap News, Soompi, and Seoulbeats. He writes for Green Tea Graffiti, a site about in-depth talk in Asian pop culture. If you want to talk to them more, tweet them at @GTGNews. Farah is a creative contributor for Green Tea Graffiti. 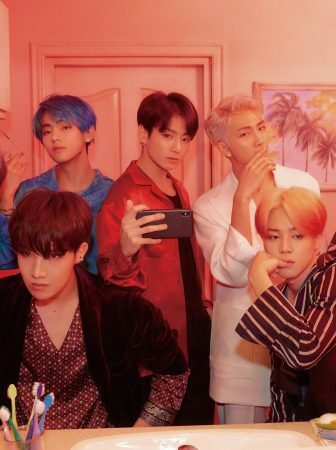 Get the latest scoop on who’s who in the world of idol rappers if you’re interested in learning more about K-pop’s latest hip hop buzz.